Scions were the sport compact line of cars made by Toyota that was discontinued in 2016. If you drive a Scion in the New London and Wilmot area, and you need auto repair, you want the most experienced and skilled auto mechanics to work on your car. Fortunately, Walker Automotive has the auto mechanics who have the experience and knowledge to work on Scions. All of the auto mechanics at Walker Automotive are ASE-certified and utilize the Identifix system, which gives them access to a comprehensive online repair database as well as a repair hotline service featuring 45 OE factory-trained, ASE Master, L1 Carline Specialists. So, be confident that the Scion service they can perform at Walker Automotive is the best of its kind. The bottom line is, for the courteous customer service, the most knowledgeable and skilled auto mechanics, and exceptional follow-up service, you can’t get any better than Walker Automotive in the New London and Wilmot areas. 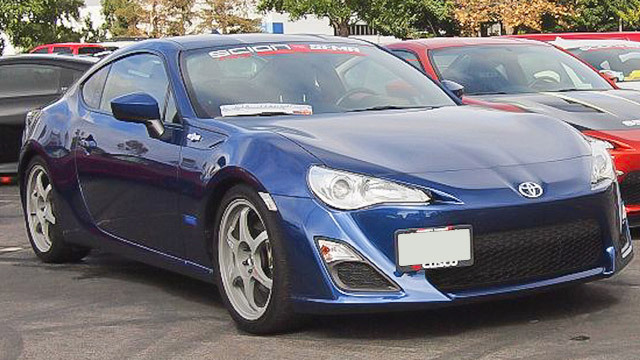 To perform any kind of auto repair on your Scion, call us or schedule an appointment online. Walker Automotive is located at 3 Deerwood Drive, Wilmot, NH 03287.